The term “Bushmen” may bring to mind a romanticized image of the African people living harmoniously in the vast desert, hunting and gathering as their ancestors did for millennia. The numerous bushmen clans, collectively known as the San (or Basarwa in Botswana), have inhabited southern Africa’s Kalahari Desert for around 60,000 years, but very few continue to live as traditional hunter-gatherers. After enduring the past 350 years of colonization, today’s San are a marginalized minority in modern Botswana and Namibia, caught between the policies of national governments, corporate interests and the trends of globalization, which often disrespect the traditional ways of the San. Of the approximately 100,000 people currently defined as San, only some 1,600 San actually live close to the ways of their ancestors. In northwestern Botswana, the Ju/’hoansi San are among the few that practice traditional customs and spiritual ceremonies. 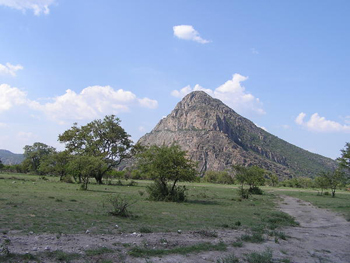 Tsodilo Hills, a place of spiritual significance to the San, is today a national monument and a UNESCO World Heritage site; however, the government’s rush to create conservation areas for tourism has impeded Ju/’hoansi access to their lands and resources and their ability to practice their traditions. Meanwhile, in neighboring areas, diamond mining and other natural resource exploration is also cutting the San off from their lands and heritage. The San are believed to be one of the oldest—if not the oldest—ethnic group on the earth. Genetic research indicates that all humans descend from African hunter-gatherers such as the San. Evidence from rock art and other artifacts suggests that the ancestors of today’s San lived for thousands of years in nomadic societies across southern Africa from the Zambezi River all the way to the Cape of Good Hope. They survived in the dry and often harsh natural environment by storing rainwater underground, sourcing water from melons and tubers, and using other techniques derived from an intimate understanding of the landscape. The San are traditionally pacifists and use a gift economy with a nonhierarchical leadership system based on consensus. Their culture allowed them to live with very little impact upon the land for much of their history. The four massifs that form the Tsodilo, or “Sheer,” Hills rise dramatically from the otherwise flat Kalahari. Believing the hills to be like a mausoleum for ancestral spirits, the people covered the hills with ancient rock art, which now testifies to the long and continuous habitation of the area. The San identify the hills as “Male Hill,” “Female Hill” and “Child,” according to their respective sizes; the fourth is the “First Wife” (the “Female Hill” being the male’s second wife). At the top of the Male Hill, the most sacred spot for the San, deep impressions in the rock are regarded as where the first spirit knelt to pray after creating the earth. Since the 1960s, archeologists, anthropologists and linguists have taken a great interest in the San peoples, intensely studying their hunting and tracking skills, the Khoisan “click” languages, and the impressive rock art that appears throughout the southern end of the continent. One of the greatest concentrations of rock art in the world, the Tsodilo Hills have over 4,500 paintings and dozens of archeological sites. Tsodilo was inscribed as a UNESCO World Heritage site in 2001, and its rock art has stimulated tourism to the environmentally sensitive Kalahari. The spiritual practices of the San have also been the focus of much tourism and curiosity, particularly trance ceremonies, through which resident shaman communicate with dead relatives and heal the sick. Immigrants into San traditional lands introduced water boreholes in the 1950s, enabling newcomers to cultivate large areas of land without knowing San methods of sourcing water. This change marginalized the San, contributing to the end of their nomadic culture. By 2000, 90 percent of the San in Botswana had been “resettled” by the government—moved into villages where water access and social services were provided—resulting in a gradual disintegration of their ancient culture. Among the 25 different groups of San existing today, half these live in the Republic of Botswana, a third in Namibia and the remaining in Angola or South Africa. Although the San were the original caretakers of these lands, government interest in establishing conservation areas for tourism and exploiting mineral resources has resulted in further subjugation of San communities—leading to issues of economic dependency, loss of cultural traditions, alcoholism and malnutrition. As with many San groups in Botswana, the Ju/’hoansi struggle to balance economic development fostered by tourism revenue while retaining ties to cultural and spiritual traditions. 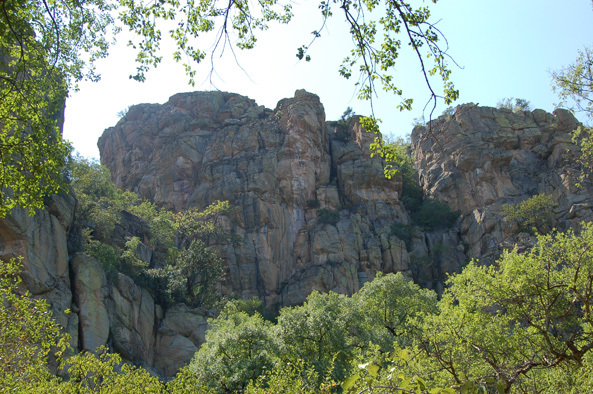 In 1995, when the Tsodilo Hills National Monument was created in northeastern Botswana, a small community of Ju/’hoansi San were relocated from their ancestral home at the base of the Tsodilo Hills. The Ju’hoansi consider the hills to be sacred, believing that spirits of the deceased gods live and rule the world from within the Female Hill. The Ju/’hoansi, who were settled three miles south of the hills, have benefited from tourism though selling crafts and leading some tours, but they are not allowed to graze livestock within the protected area. Although a clinic was built in the village outside the monument, the Ju/’hoansi and Mbukushu would like to have a school built in the area, with more job opportunities to prevent their dependency on government handouts. Across Botswana, San groups have been at the forefront of the tension between the government’s actions to conserve natural and cultural resources and indigenous rights to access traditional lands for hunting, living and continuing cultural traditions. For a decade a legal battle was waged over the government’s eviction of San people from their traditional lands within the Central Kalahari Game Reserve into “resettlement camps.” The reserve was established in 1961 to protect land for traditional use by hunter-gatherer communities and the wild game they depended on. However, diamonds were discovered in the reserve in the 1980s, leading the government to clear virtually all of the 5,000 Gana, Gwi and Tsila San, along with their neighbors, the Bakgalagadi, off the reserve to make way for mining. Since 2002, the Botswana government has issued 112 licenses for mining companies to explore the area; mining interests include coal and uranium as well as diamonds. In 2006, the San won a historic victory when Botswana’s High Court ruled that the government’s eviction practices were “unlawful and unconstitutional,” but as San have tried to reestablish their lives in the reserve, the government has banned them from using their water boreholes, refused to issue them hunting permits, banned them from taking animal herds onto the reserve, and even arrested more 50 individuals for hunting. According to Ray Sesane, leader of the First People of the Kalahari, “More than a year after the judgment, we still do not have that land. We have been evicted from our land and our government refuses to respect orders of the court.” The NGO Survival International has been campaigning to restore the land to its traditional owners and fight mining efforts. It successfully persuaded the De Beers company to sell its mining concession, and is now campaigning against Gem Diamonds and Graf Diamonds, the current concession holders. A key element of this issue is that many San consider themselves to be the indigenous or aboriginal peoples of southern Africa, while the governments of the region do not recognize them as indigenous. For example, the government of Botswana states that all citizens of the country are indigenous, and Namibia does not differentiate San from other groups. Instead, San in Botswana are categorized as Remote Area Dwellers—people who live outside of gazetted villages in remote parts of the country. In Namibia, San are seen as a historically disadvantaged population, so a special San Development Program was established in 2005 to address historical injustices, alleviate poverty, and empower the San and other groups. In response to loss of traditional lands and the cultural loss associated with it, San communities have been organizing to gain ownership of lands, including the right to hunt on these lands. One popular approach to this has been the formation of government-approved land trusts as a part of community-based natural resource management programs. In this process, San communities form councils, a constitution and board of directors in order to set up a trust from which they purchase blocks of land as a community. Upon approval from government land boards, the community is then entrusted to oversee wildlife and other activities on the land. In northeastern Botswana and northwestern Namibia, there are successful examples of other trusts established by the Ju/’hoansi San and Herero people. In Botswana, The /Xai /Xai Tlhabololo Trust was created in 1997, and programs were launched to promote biodiversity, preserve their cultures and diversify their economy through craft sales and tourism. An important source of income and pride in /Xai /Xai is the !Kokoro Crafts cooperative, which consists of about 80 members, 75 percent of whom are women, and complements ecotourism initiatives. For the Ju’oansi near Tsodilo, there is hope for expanded community development projects through a $1.2 million trust jointly funded by Debswana and DeBeers diamond companies in 2007. Also known as the Diamond Trust, the Letloa Trust Fund administers several community projects in the Tsodilo area and will help implement the Tsodilo Hills Integrated Management Plan, which was completed in 2005 after a collaboration among government departments, Tsodilo community members, Letloa Trust and the Okavango Cultural and Development Initiatives. If you or people in your community plan to visit southern Africa, it is important to make careful and informed decisions as a tourist. Be mindful of supporting community-based local tour operators, crafts cooperatives and other enterprises established by local trusts or organizations. Also, when visiting the Tsodilo Hills, you can observe the Ethics for Visiting Sacred Places. Regarding the San’s struggle at the Central Kalahari Game Reserve, Survival International suggests writing a letter to the Botswana government to let them know of your concern, writing your member of Congress, or writing to your local Botswana embassy or high commission. Consider donating to the Bushman Campaign at Survival International, or go directly to the Bushmen’s own website to donate or learn more. Other organizations include the Kalahari Peoples Fund and the Trust for Okavango Cultural and Development Initiatives (part of The Kuru Family of Organisations). Botswana Press Agency. ‘‘Diamond Trust Donates P10 million.” BOPA Daily News Archive, August 23, 2007. Godwin, Peter. “Bushmen: Last Stand for Southern Africa’s First People.” National Geographic, February 2001. Handwerk, Ben. “‘Python Cave’ Reveals Oldest Human Ritual, Scientists Suggest.” National Geographic News, December 22, 2006. Hitchcock, Robert K. and Diana Vinding, eds. Indigenous Peoples’ Rights in Southern Africa. International Work Group for Indigenous Affairs, 2004. Robbins, Lawrence H., Alec C. Campbell, George A. Brook, and Michael L. Murphy. “World’s Oldest Ritual Site? The ‘Python Cave’ at Tsodilo Hills World Heritage Site, Botswana.” Nyame Akuma, No. 67, June 2007. “The San Bushmen of Southern Africa.” Bradshaw Foundation. “Southern African San.” Working Group for Indigenous Peoples in South Africa. Survival International. “112 mining licenses granted on Bushmen land since evictions.” Survival International, March 3, 2009. Survival International. “The Bushmen.” Survival International. Tsoroti, Stephen. “Kalahari Bushmen Fight Government Instransigence.” Worldpress.org, November 26, 2007. United Nations Educational, Scientific and Cultural Organization. “Tsodilo.” UNESCO World Heritage Center.